Castle Hill Showground, the precinct dropped by Mirvac in late 2017 due to changes in planning controls, has a new suitor. Ecospective, a Chinese-backed developer has bought 11 lots measuring a total of 9,634sqm in area at the showground precinct in Castle Hill for $40 million. 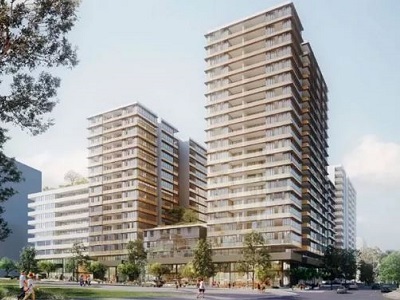 The company plans to develop 300 apartments in 12-storey buildings in multiple stages. Following three years of consultations, the government has rezoned 270 hectares of land to service the Sydney Metro North West station, which is expected to open soon. The masterplan for the rezoned area provides for 5000 new homes. The opening of the metro station will very likely revitalise the area with better transportation, improved retail, more jobs and better access to schools. Ecospective is very confident about the prospects of the Sydney housing market. According to a forecast by Charter Keck Cramer, there is a requirement in the Metropolitan Sydney market for about 36,000 new dwellings each year until 2036. Ecospective’s proposed apartment development will make a significant contribution to this target.